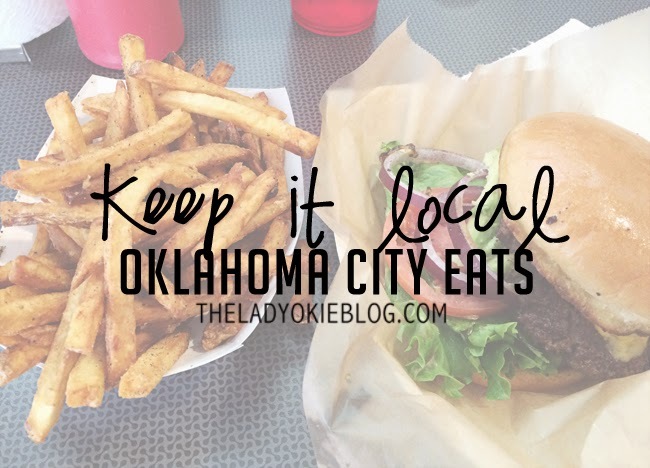 Today I am continuing my tour of OKC by sharing some of my favorite eats! These are by no means all of the delicious restaurants that Oklahoma City has to offer, but these are ones I've found that I really enjoy. ^^^ Planet Sub. The bread is made fresh in the store every day, and it smells so good in there! And not like it smells in Subway. You know what I'm talking about. They have a full vegetarian menu and delicious non-veggie options too, which I look forward to eating once Baby Bum has left the building. ^^^Roxy's Ice Cream Truck! They have had a food truck for a long time, and they just opened an actual shop in the Plaza District (hipster town, according to Jordan). The hand-dipped ice cream is gooood. Plus, hello, who wouldn't want to buy an ice cream cone from a truck like this? 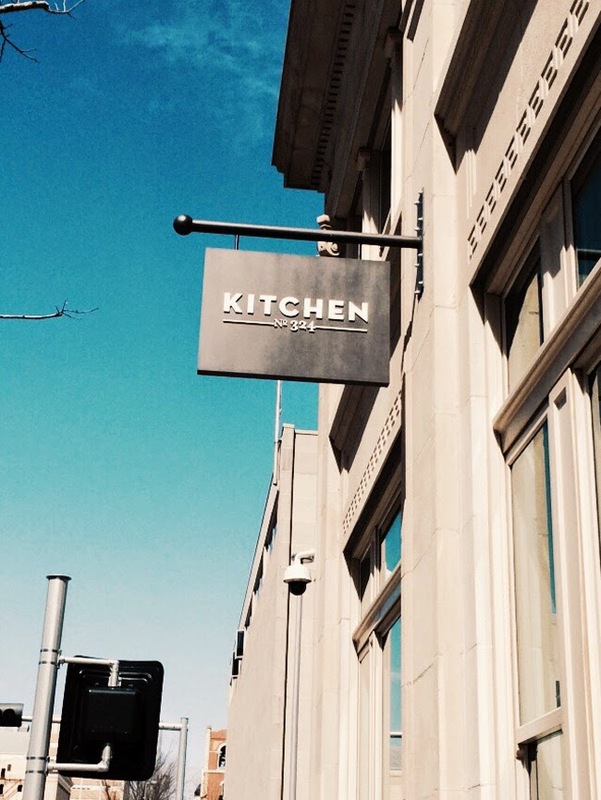 ^^^Kitchen 324 is a great place to eat if you want to be a little fancy. 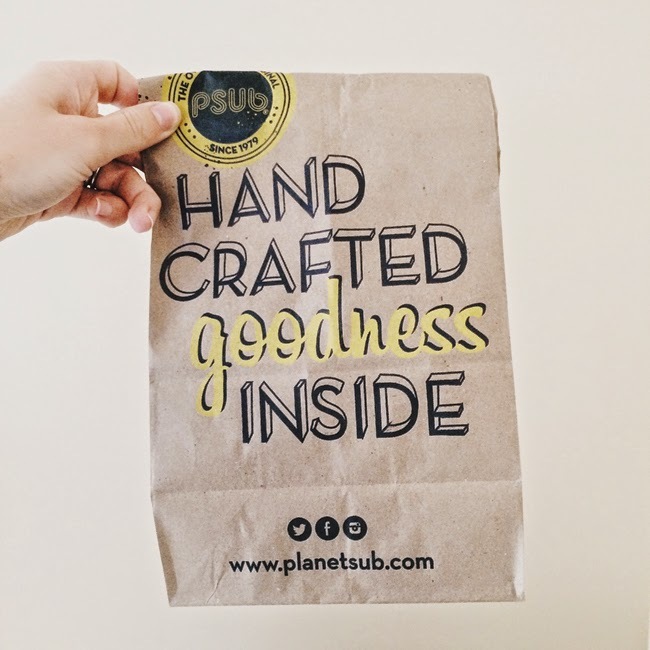 They make all their bakery items fresh daily, and the menu is full of options using local, fresh ingredients. It's really nice inside, and you feel like you're being fancy but the food isn't too expensive. ^^^ We recently discovered a new burger place called The Garage. YUM. The menu has a lot of unique burger options, and I loved the fries (always important). They sell root beer out of the bottle (a selling point for Jordan), and the prices are good. Our friends came to visit us from Illinois over Memorial weekend, and we took them here for dinner on Sunday. They agreed that it was really good! Worth a stop if you're in the area. ^^^ Last but not least, if you're ever in the area, you MUST stop in at S&B's burger joint for a side of fried green beans (yes, we do fry everything. God Bless America). I reviewed S&B's here, so click through to see more pictures of this awesome burger place. I have sampled nearly half the menu (including ordering a turkey burger!) and have never been disappointed. 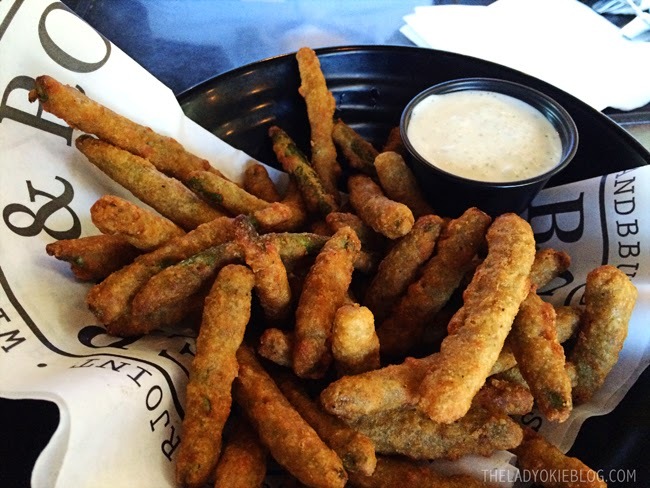 Have you ever eaten fried green beans before? Does your city have food trucks? PLEASE CAN I COME VISIT YOU AND EAT ALL THE THINGS?!?!? It all looks tasty! 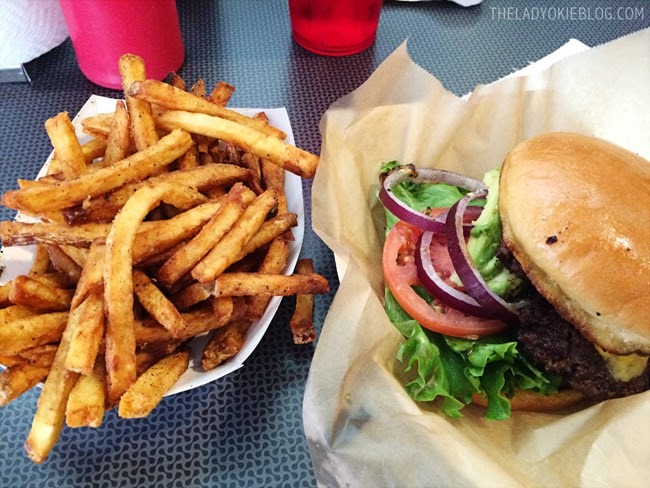 We have a nearby burger place called the Burger Garage that we love, too! I've never had fried green beans...not sure I would love them, but I'd definitely give them a try. Yum! I've tried fried green beans once. They were really good, and a little zesty? Maybe that's just this particular restaurant's seasoning. No food trucks in my tiny town. Oh wait! Yes, we have a gyro truck out on the highway during the summer. It's very random. I had to laugh at your comment on the way Subway smells. I HATE the way it smells! I've pretty much stopped going there because the smell sticks on you for the rest of the day. Also, I don't believe it's as good for you as they'd like you to believe. I still haven't been to S&Bs, but I love the Garage! Tucker's and Irma's are also great burger places. If you haven't tried Nourished yet you should, it's across from Kitchen 324. It's super healthy - all gluten free and vegan right now - but SO GOOD. The fries from The Garage look so good, now I'm craving fries! Fried green beans are so good. Boston has a lot of food trucks but my city not so much. They did come to town last summer though so hope they do it again. That ice cream truck looks so cute! And those fries look delicious (you can often tell if they're gonna be good by the look of them, right?). The crispiness factor is primordial. Food trucks are all the rage now, and I LOVE it. There's a tiny coffee truck that comes every saturday at my local Parkrun. I haven't tried the coffee though. I go there to run, not drink. We also have an ice cream truck, but it's far from cute. I'm really hungry right now, so I'll take one of everything. That all looks so very good!! One of my best friends works in the building that Kitchen 324 is in and Kevin and I met her there for brunch when we were in OKC last August for a wedding. I don't remember what I ate, but I remember really liking the food. And the latte. Cool atmosphere too - I did feel fancy. Okay so I LOVE the kitchen! Oh so good. I haven't actually tried any of the other places though I've heard of them all. Now I want to try them! Fried green beans are THE BEST. We have a place in my hometown that makes them and I always make it a point to get them when I'm home. I'll take all the fries. Thanks! Fried green beans! Adding those to my must-try list! And I love that The Garage has bottled root beer. I am a sucker for old-timey soft drinks! I have, in fact, had deep fried green beans and I love them!! That burger looks amazing--I love places with unique and special entrees, especially burgers because you can do so much with them. And fries are SO important!! Cleveland has quite a few food trucks--the best is Barrio, a street taco truck that has now turned into 3 restaurants with some seriously amazing tacos. They are only $3 and you pick the meat, sauces, salsas, cheese, and any extra add ons so it's all made to order. SO GOOD!!! They don't have it in Michigan and that makes me sad :( I know they have some food trucks in Detroit but I'm not that close so I guess I'll have to keep looking! This all sounds yummy!! I have never had fried green beans. There was this place in NC that did blackened green beans, and I loved those. 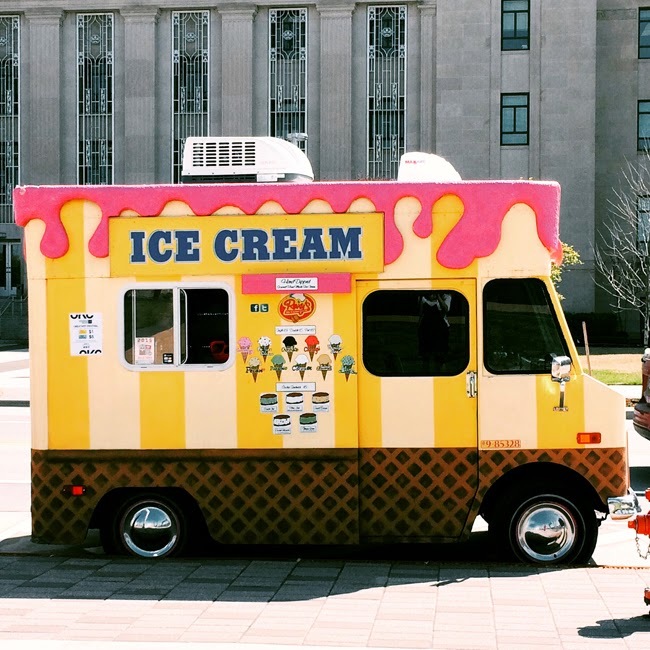 That ice cream truck is way cute, of course you would need to get an ice cream from it :) This post has made me crave a burger.